Have you considered utilizing influencer marketing as part of your social strategy? 70% of teenage YouTube subscribers trust influencer opinion as opposed to traditional celebrities. For every $1 spent on influencer marketing, a business makes $6.85. It is no wonder therefore, that influencer marketing content delivers 11 times higher ROI than traditional methods of digital marketing. 46% of people rely on recommendations from influencers, when making a purchase. Twitter users report a 5.2x increase in purchase intent when exposed to promotional content from influencers. 40% of people have purchased an item online after seeing it used by an influencer on social platforms. In this post, I'll walk you through five tools that will help you research and find these online influencers. 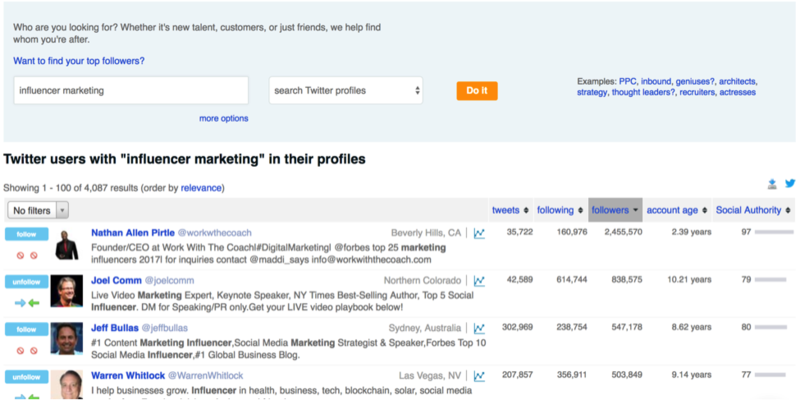 FollowerWonk enables you to search for keywords within Twitter user bios and sort through individuals, revealing those with the largest reach and most authority. Followerwonk can also be used to identify influencers who are following your competitors, but are not following you. To do this, you need to first use the "social authority" tab to sort and filter your followers - this will help identify who your most notable influencer followers are. Once you define your targets, you can create a report in Followerwonk that compares both you and your top influencers - this will help identify who's not following you on Twitter but is following your top influencers. Now you have a list of followers to target as prospects. Granted, the app's free trial is quite limited, however, BuzzSumo works in three interesting ways. First, you can search for the most popular content being shared around a certain topic, and even find out who shared it. 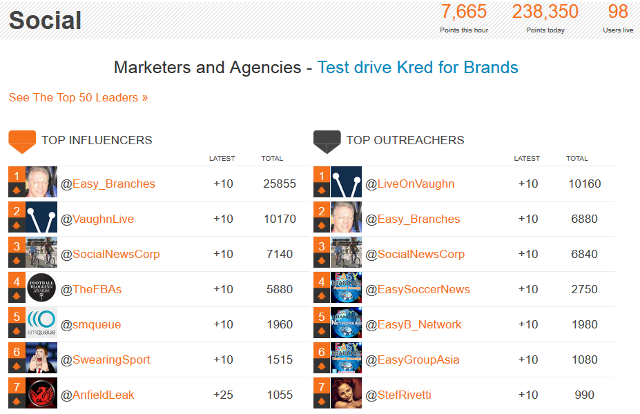 Second, the free feature helps marketers find influencers based on keywords and hashtags. And last, it's easy to filter influencers based on types, such as companies, bloggers and journalists. What's more interesting is that all these features are found in one simple dashboard. As a result, a quick analysis reveals the most successful type of content in your niche industry, and exactly who can amplify its reach. 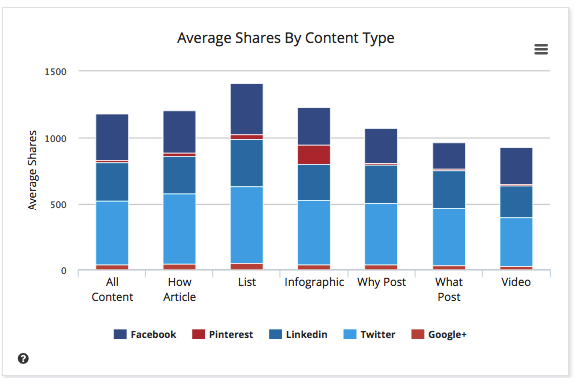 The tool isn't limited to just influencer research, however - it can also help inform you about ideal content length, average social shares by content type and share counts by network for a given keyword or industry. Designed to offer entry-level influencer marketing metrics, Kred measures influence by evaluating mentions, replies, follows, and retweets on Twitter. Their 'outreach score' provides a rating based on how often you tweet, mention other people, and reply. Both metrics work by revealing how influential a person is, giving preliminary knowledge on influential online users. 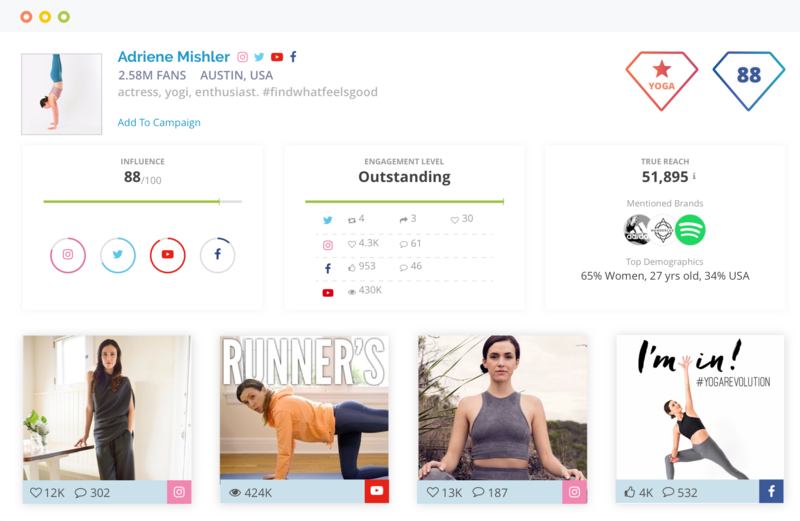 Formally known as Twtrland, Klear is a great, freemium tool which enables you to find influencers who are already engaging with your brand, and those within your networks across Instagram, Twitter, YouTube and even blogs. Even better, you can filter these influencers into different categories - such as celebrities, casual, power users and novice. To ensure that you target the right audience, Klear uses demographic features, enabling you to see which types of people are following the influencers you're considering. This information can then be used to understand whether the audience matches your requirements - and if not, you can target a different influencer. Tweetdeck has not only made it easier to use Twitter, but it's also a great free tool for researching influencers - and particularly, showing whether people listen to them or not. In addition to seeing how many followers a potential influencer has, it's helpful to also check how many Twitter lists they're on - this can help underline their influential status. One of the most useful features is the #hashtag and/or keyword search. 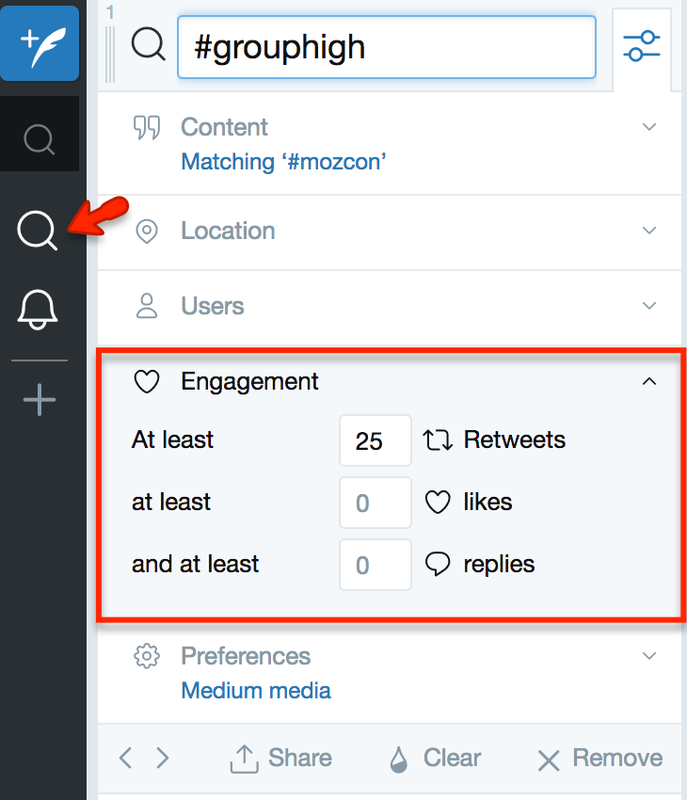 By adjusting the search volume to tweets that have at least 25 retweets, you can quickly weed out and mute the noise that's often returned for these types of queries. Depending on the volume of results returned, you can adjust the retweet volume higher or lower. Show tweets that contain a mention of "this" but not "that"
It's clear that influencer marketing can deliver great results - these tools can help save your business time and money by enabling you to find the best influencers for your specific brand and niche. And the best part is they're free. Worth taking the time to check them out.